Choose your desired vehicle by clicking on it now! Fun Tyme Limousine Service has been serving St. Louis, St. Louis County, St. Charles, Jefferson County, and all surrounding counties since 1995. 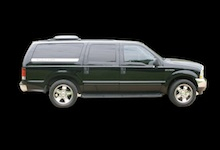 Our fleet consists of our Luxury Executive Black Towncar Sedan, our one of a kind Get-Away Full Size Executive SUV Limousine, our tradition style 12 passenger Stretch Lincoln Towncar, our luxury 16 passenger Stretch Escalade, our unique 16 passenger Hummer H2 with a custom 5th door (Bridal Door), our elegant 22 passenger Lincoln Navigator, 24-40 passenger luxury Limo Coach Buses, as well as the most elite Coach Style Ultimate Party Bus in St. Louis; seating up to 35 passengers. 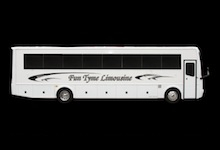 Fun Tyme Limousine Service specializes in luxury limousine service for Weddings, Proms, Special Occasions, Night Outs, Business Events, Winery Tours, Holiday Light Tours, Bachelor and Bachelorette Parties, Airport Transports and many more. 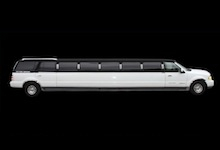 We can customize a limousine package for any special occasion you may have. 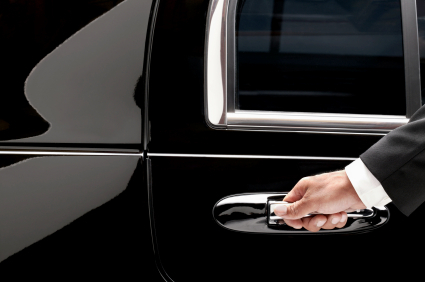 Our professionally trained chauffeurs take pride in their work. They are reliable, attentive, and knowledgeable of the many amenities St. Louis has to offer. From suggestions for photographic locales to trendy nightlife, we've got you covered. Please browse through our website for more information and pictures of both the exterior and interior of our limousines and party bus. Please contact us at (314) 313-LIMO (5466)or at info@funtymelimo.com with any inquiries or to book your next momentous event. Become our client and "Let us make Your Tyme a Fun Tyme"